It is a loss for everyone involved and is accompanied by a multitude of feelings that change often–for you and for the children. You can get through this, especially if you can appreciate that what you are feeling is normal. Hopefully, becoming more comfortable with your many feelings will help you to act as sensibly as possible. 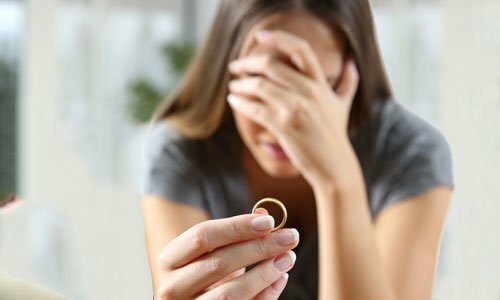 Adults experience a variety of feelings during separation and divorce that continue throughout the process and for some time afterwards.In the initial crisis, people may experience intense feelings of denial, rage, anger, and blame. The transitional stage may bring feelings of frustration, hostility, bitterness and resentment. As things settle and the divorce finalizes, people may feel jealousy, doublet, loneliness, failure, and finally acceptance of the process. Some feelings may reoccur throughout the process. many adults desire to keep reliving the situation in an attempt to discover what happened. I recommend that people find a good relationship therapist to help them discover what did go wrong and how not to repeat the same mistakes. Parents with children need help to parent at this time and a good therapist can aid this as well as identifying supportive family members to take the burden off parents until such parents can regain their feet. It is very important for parents of children to take care of themselves at this time. If you are okay, your children will do better than if you are falling apart. Take time for yourself, be with friends, and be aware that your patience may be stretched thin. As much as you might feel justified, please do not criticize the absent parent. This makes children feel worse and increases divided loyalties–that sense that children can only love the parent who cares for them and that to love someone with whom the parent they live with is angry, is a betrayal to that parent. Children are most apt to feel abandoned and confused. Your child may feel loss of family, loss of the absent parent, loss of status, money, and security. You may feel these things as well. Your child may feel that he has no control over the future and what happens to him. You, however, know that you have control over what ultimately happens and that you will never leave him. Reassure him. Your child may be angry with you. He may blame you for the divorce. He may act negatively–with anger at you– by regression IE. bed wetting.. His grades may fall. He may fight with other children. I tell my clients that there are only two things to do with feeling. We can talk about feelings or we can act them out. Talk to your child/children about the facts of the divorce. Keep them informed about what is coming. Help your children to be aware that feelings may be the same for you and them or different. Talk to children about appropriate ways to show anger–by running, hitting a punching bag, talking about our feelings, get some sponges they can throw. Watch how you show anger. You may be short-fused at this time. Watch yourself to keep from taking frustrations out on the kids. This is a time when you may punish your child unreasonably. You may yield to wished indiscriminately because you feel indifferent or guilty.. Sometimes you may resent the child’s presence. This is especially true for custodial parents. It may go back as far as the fact that the pregnancy was not planned or was planned in hopes of strengthening the marriage. There may be annoyance at the absent parent for favors given to the child and this may be held against the child when he returns home. Whatever the case, all of these feelings are normal for adults and children. The more you can discuss what everyone is going through, the less negative behavior may occur. Did You Know? Your child’s behavior is a demonstration of how he is feeling–help him put it into words.–It may also be a demonstration of how he thinks that YOU are feeling. Help him put what he senses into words as well.